ICF Washington State - Kitsap Satellite - What do people say when you leave the room? How to influence that conversation! Kitsap Satellite - What do people say when you leave the room? How to influence that conversation! What do people say when you leave the room? How to influence the conversation! Do you know what kind of impression you make on others? Learn how to how to pro-actively communicate your strengths and values with every move you make. Through coaching, Executive and Career Transition Coach Margo Myers helps high achievers who are frustrated with the speed of their career advancement, and are ready to do what it takes to get promoted and take their place as leaders making big impact. Margo has delivered her talk to rave reviews to leaders in the Puget Sound area at Amazon, PEMCO, Boeing, and more. Executive and Career Transition Coach Margo Myers helps high achievers who are frustrated with the speed of their career advancement, and are ready to do what it takes to get promoted and take their place as leaders making big impact. From managers and directors aiming for the C-suite, and executives who’ve reached the corner office and need a trusted adviser and sounding board, her clients rediscover their mojo, move up the career ladder after being stuck for too long, or discover an entirely new path to bring about more joy, fulfillment, and career and life satisfaction. She brings an empathetic presence and active listening skills to client sessions to inspire actions that lead to big results. Her zone of genius includes communication and presentation skills, executive presence, and media training. 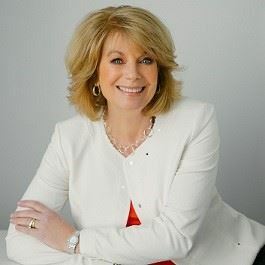 After investing more than 20 years as an award-winning TV news anchor at KOMO TV and KIRO TV in Seattle, Margo earned mastery in asking powerful questions to zero in on the most relevant answers to tell a compelling story. Now she asks powerful questions of her coaching clients to help them express their biggest dreams, uncover what’s holding them back, and create plans so they land their dream jobs, earn their next promotions, and make more money. Margo holds her coaching certification from the Hudson Institute in Santa Barbara, California. She also has her Professional Certified Coach (PCC) credential from the International Coach Federation and is a Life Reimagined coach for AARP. Please retain your registration email as it will contain your log in information for the program.